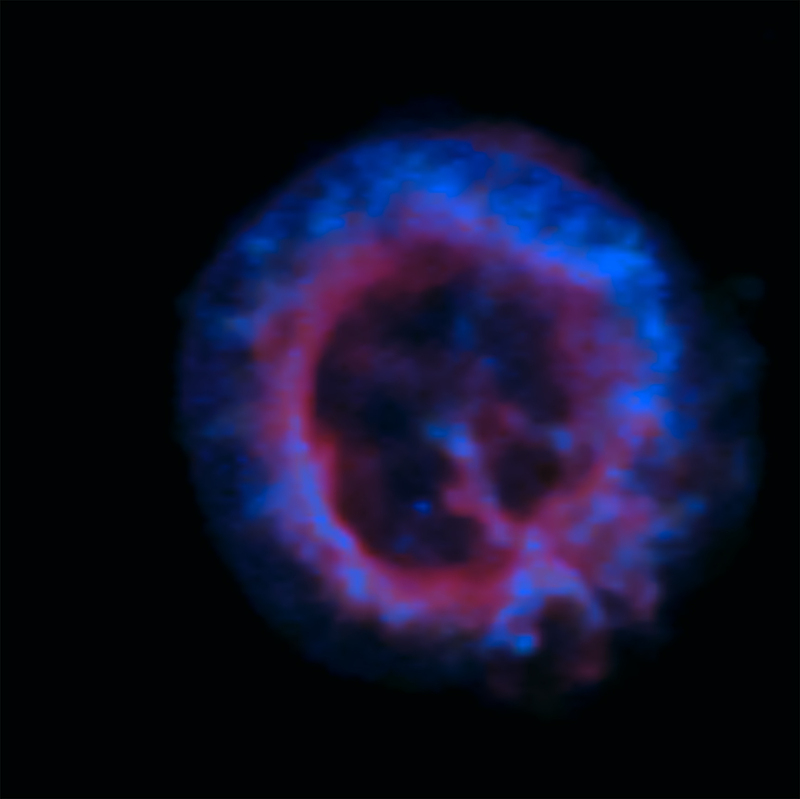 These images of the supernova 1E0102.2-7219 show X-rays from Chandra, visible light data from VLT's MUSE instrument, and additional data from Hubble. 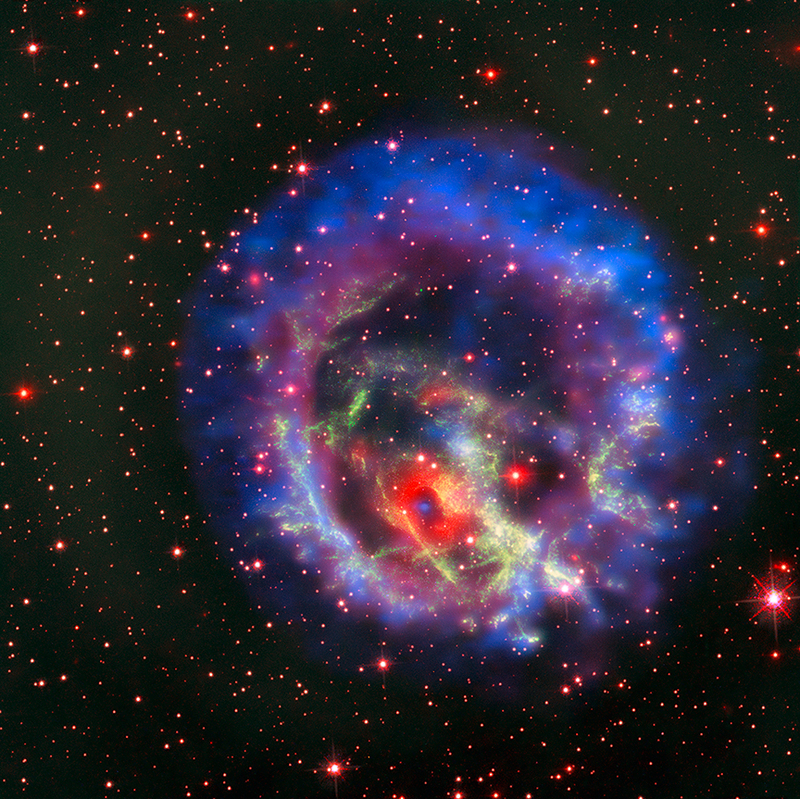 A neutron star, the ultra dense core of a massive star that collapses and undergoes a supernova explosion, is found at its center. 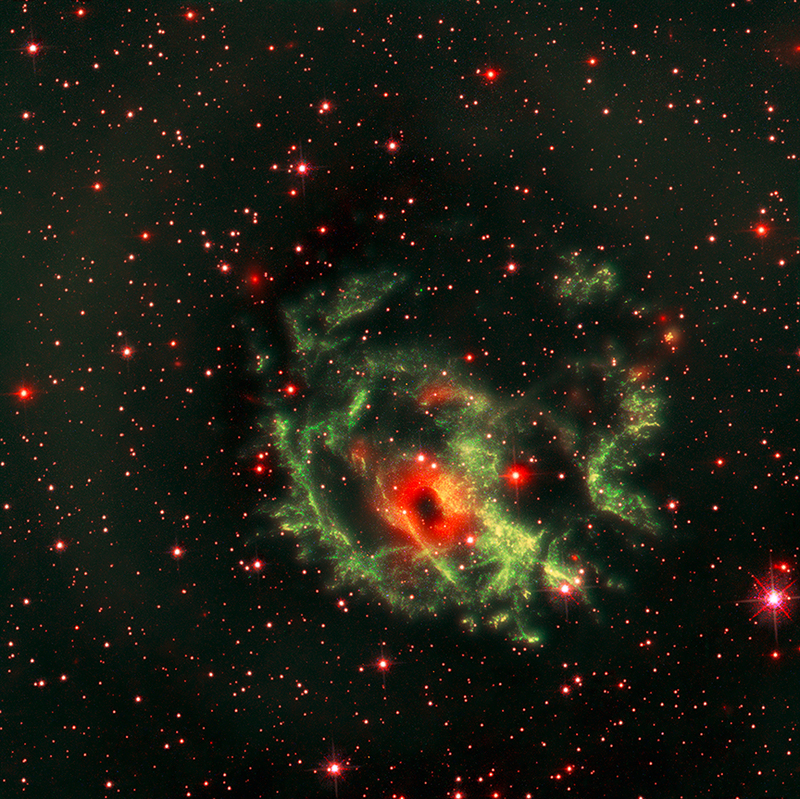 Astronomers discovered that this neutron star is a rare variety that has both a low magnetic field and no stellar companion.